We rescued our camera from Joe’s dorm at Humphreys this week (where we accidentally left it before heading to Seoul last weekend). So here are some pictures from the past few weeks. 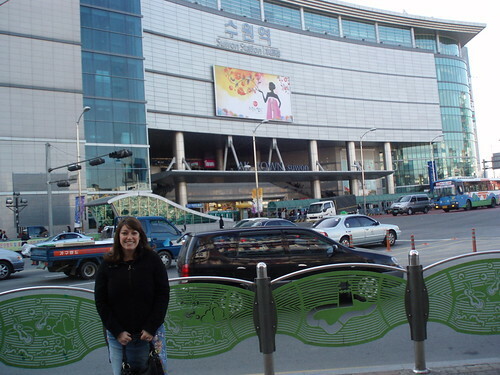 The Aukyung Mall in Suwon is a large mall/movie theater complex above the Suwon train station. Suwon is a college town located about 30 minutes from Songtan. Ally and I went there last week for some shopping and eating. Ally and I eating Dak Galbi near the Aukyung Mall. The restaurant gives you little aprons to wear so the cookchicken and vegetables ing in front of you don’t splatter your clothes. 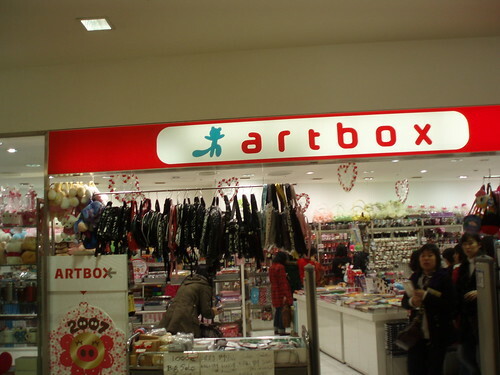 Artbox, my new favorite Korean store. This place has the cutest stationery and accessories. A funny store in the Aukyung Mall. 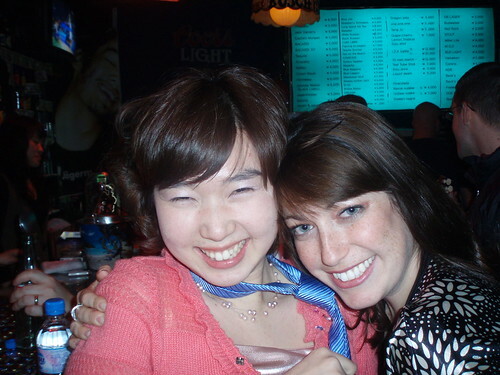 I was trying to explain to Ally that we would never use the word Weeny in a store name in the U.S.
Joe and I at IDK, a bar at Humphreys, where we partied with Ally and Joe’s co-workers before heading to Seoul the next day for Seollal. Can you tell Ally and I were having fun? 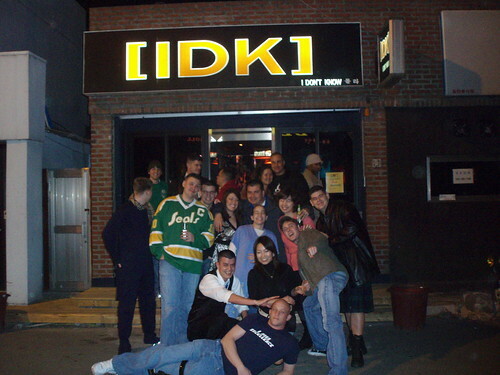 Our rather large and loud group outside IDK. After work this past Friday, Ally took Joe and I to a traditional Korean restaurant for some Gogi, not Bulgogi, “just gogi,” Ally said. Check out all the kimchis, and this was a pretty simple kimchi spread. It was delicious and the 3 of us ate massive amounts of beef and kimchi for what came out to $40 total, food is so cheap here. Ah, a fellow Songtan blogger…now there are two of us (that I know about). 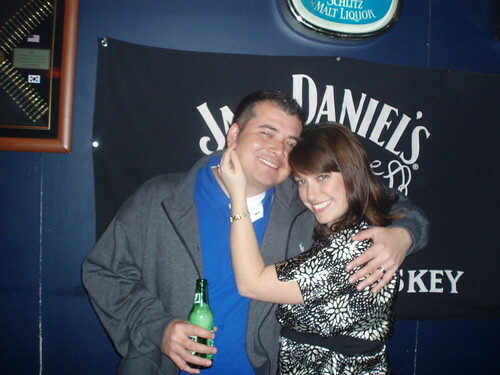 I’ll add your blog to my sidebar. Yes, Koreans use the word Weeny. 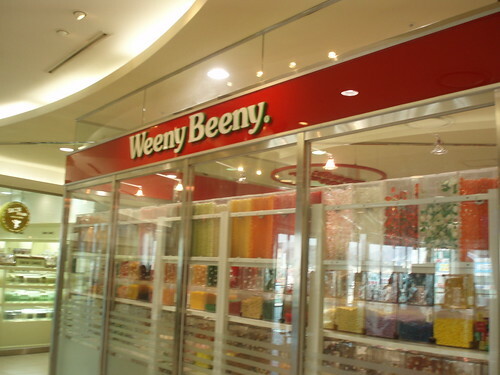 Weeny Beany is better than the popular brand of clothes, with a teddy bear. It is called Teenie Weenie. I laugh whenever I see a Korean guy wearing one of those sweatshirts. I don’t think I’d ever want to advertise by wearing a shirt that says teenie weenie.